Real Estate Opportunities has been put into administration by a UK judge after its owners failed to repay debts of £501m owed to Lloyds Banking Group and Ireland’s National Management Asset Agency (NAMA). Administrators Ernst & Young have taken control of the Grade II listed red-brick building and will now either sell the site or the debt to recover the amount owed. The creditors initially called in the loans on 29 November and REO was inviting offers for its controlling stake in the site soon after. Keith Garner of the Battersea Power Station Community Group, which opposed the Irish company’s plans, called for the power station to be returned to the public sector, with repairs to be funded by the Heritage Lottery Fund. On ITV’s London Tonight and LBC radio you can watch or hear Ravi Govindia, the leader of Wandsworth Council who, as former cabinet member for “strategic planning and transportation”, is particularly responsible for the failed private-property owner led regeneration of the area, trying to defend the borough’s pathetic policy towards the obviously flawed and greedy plans for Battersea Power Station. Only a few days ago George Osborne and Boris Johnson were doing their best to puff the disastrous scheme which is now as all but dead and buried by the creditors calling in their loans. 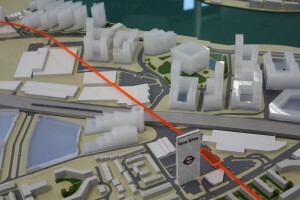 For the Battersea Power Station Community Group (BPSCG) it is just another “new beginning” as the fourth developer limps off stage to boos and jeers. 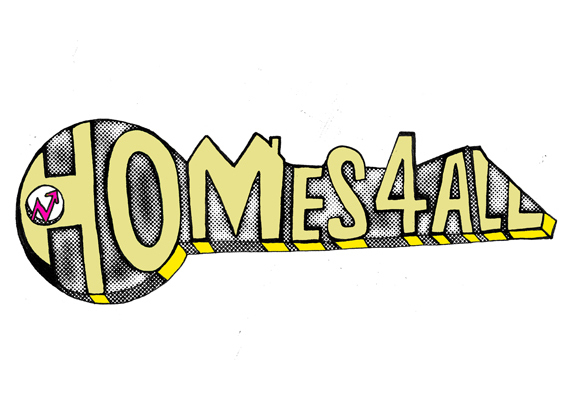 Keith Garner is also interviewed calling for the whole site to be put into public ownership for a sensible, viable, gradual development of the historic and beautiful building and its surrounding site. An ideal exhibition for industrial power ( see our previous blogs). 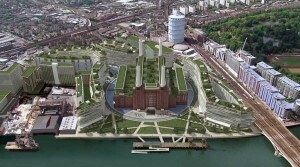 Keith cites the difference in the approach of Southwark to the other Gilbert-Scott designed river front power station, the highly successful Tate Modern. 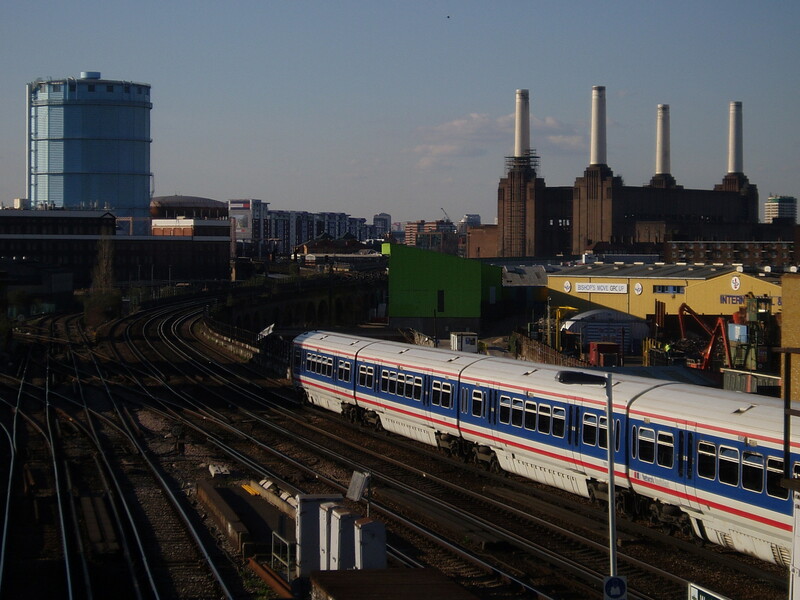 Through partnerships and a gradual, planned development it shows what Battersea residents could have had these past 30 years. Spectacle’s crew were there today too and will be posting soon the bits of the interviews the broadcaster left out. Including an hilarious episode where the owners try to stop ITV filming by shutting the gates. Perhaps their last act. 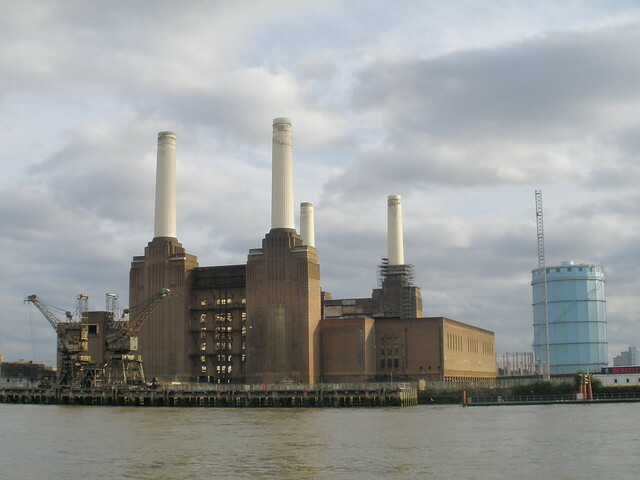 NAMA and Lloyds are owed 502 million pounds ($786 million) by the owners of Battersea Power Station and they want their money back. Now. Despite REO’s attempt at positive spin (see below) their ridiculous plan is over and it is about time the heritage site was brought into public ownership and restored as a site for Industrial Power. The Company announces that certain subsidiaries (BPS Subsidiaries) of Battersea Power Station Shareholder Vehicle Limited, the holding company of Battersea Power Station formed for the purposes of the restructuring that was announced in April 2011 and which is 54% owned by the Company, have received demand for repayment from Bank of Scotland plc, as agent for the National Asset Management Agency (NAMA) and Lloyds Banking Group the (together the senior lenders), under the senior facilities advanced in respect of the Battersea Power Station site, aggregating approximately £324m, and from Oriental Property Limited under the facilities advanced by it to the BPS Subsidiaries, aggregating approximately £178m. The BPS Subsidiaries are currently not in a position to satisfy these demands for repayment. The Company has also been advised that NAMA and Lloyds Banking Group have applied to the English court for the appointment of administrators to certain of the BPS Subsidiaries and that a hearing for this purpose is to be held on 12 December 2011. 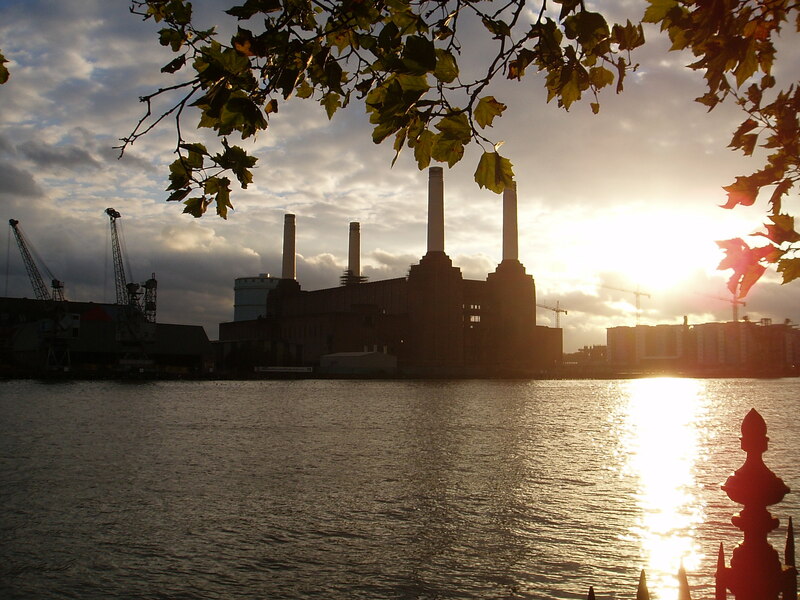 The Company remains in discussions which may result in the disposal of the group’s interest in the Battersea Powerstation site and repayment of associated liabilities. 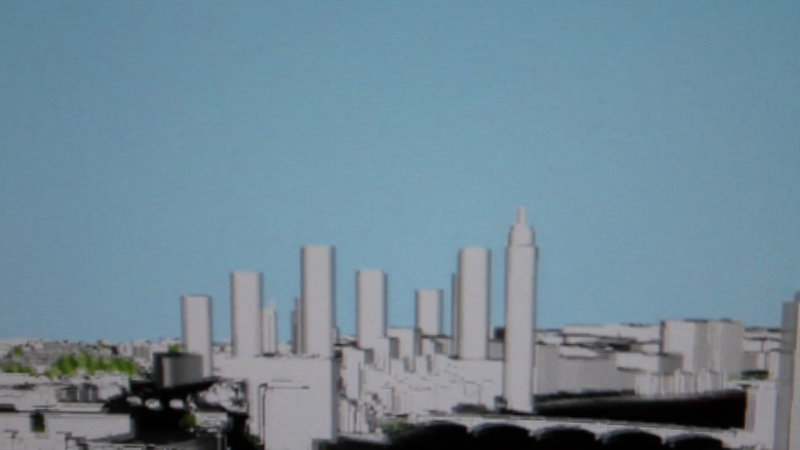 However, there is no certainty that any such transaction will be effected. 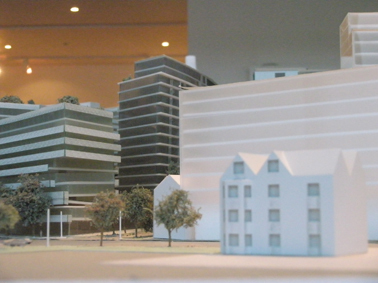 The Company’s other assets, which are situated in Ireland, are unaffected by the above developments. The Company has recently received term sheets from NAMA, the principal lender in respect of its Irish assets, indicating NAMA’s continued support for the Company’s business in Ireland. The recent PR buff on Battersea Power Station has left us no closer to a solution to the issue. 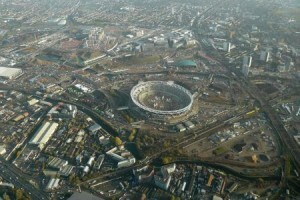 Chancellor George Osborne and Mayor of London, Boris Johnson, have been talking about the Northern Line extension and oligarch Roman Abramovich has received media attention by saying that he’s thinking about moving Chelsea Football Club‘s home ground South East of the site. 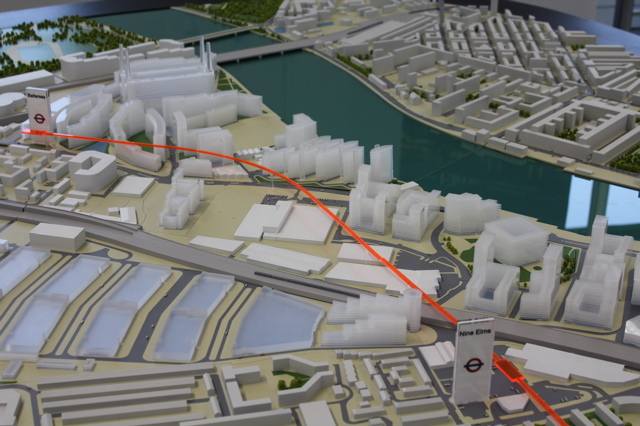 Extending the Northern line from Kennington to Battersea is one thing – funding the project is another. During the Autumn Statement in the Commons today, Osborne stated that the government will back the project – but did not mention with how much. He also called for “a developer” to contribute to the project and develop the power station site before a deadline of 2013. The project is still heavily reliant on private funding and current owners Treasury Holdings is going to struggle. A scheme this size, roughly three times the size of Canary Wharf if you include Nine Elms, is always going to be difficult to get up and running at the best of times. But in a recession..? 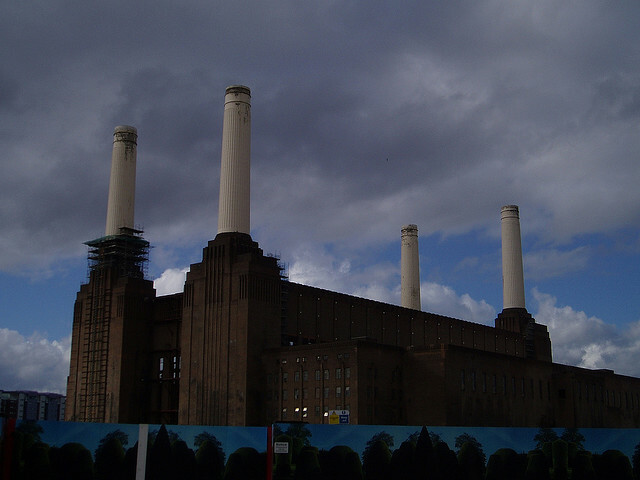 Recently, Tory dominated Wandsworth Borough Council’s planning committee gave Treasury Holdings permission to demolish the power station’s chimneys on the grounds that they were unsafe. However, many experts disagree and local residents believe that, like the roof which was never replaced, the chimneys will never be re-built once they are gone. If Treasury Holdings really believe that the chimneys are precarious, it shows a very cavalier approach to the health and safety of Her Majesty’s Opposition, as there wasn’t a hard hat in sight. The Battersea Power Station should become a World Heritage site for industrial power. The site has a unique Victorian Pumping Station with site of the biggest Cornish engine of its day. It also has spectacular gasometers dating from 1910 as well as, of course, the beautiful coal-powered art deco power station. It would be nice to see Abramovich spend some of his heard-earned billions derived from oil, show some philanthropic decency and rescue the site from the clutches of the myopic grey men. 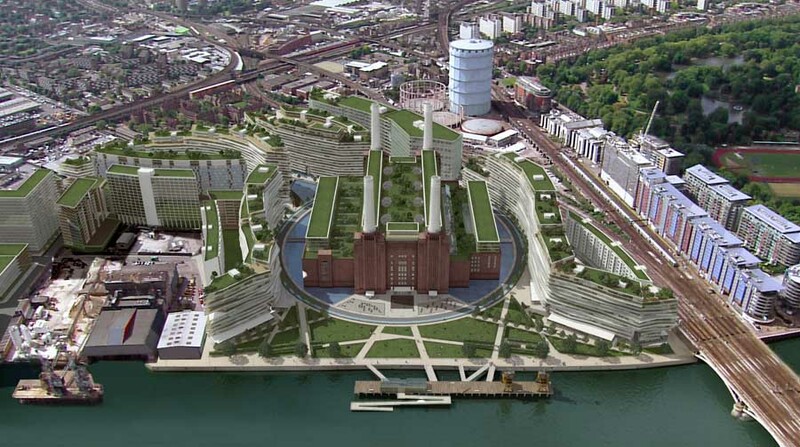 They would simply turn the site into just another crass, desolated, windswept and empty river-front development along the banks of the Thames. The Big Society was prime minister David Cameron’s flagship policy idea for the 2010 election campaign and has stated that it’s his “mission.” One may ask, if one of the world’s richest men isn’t going to chip in – then who will?